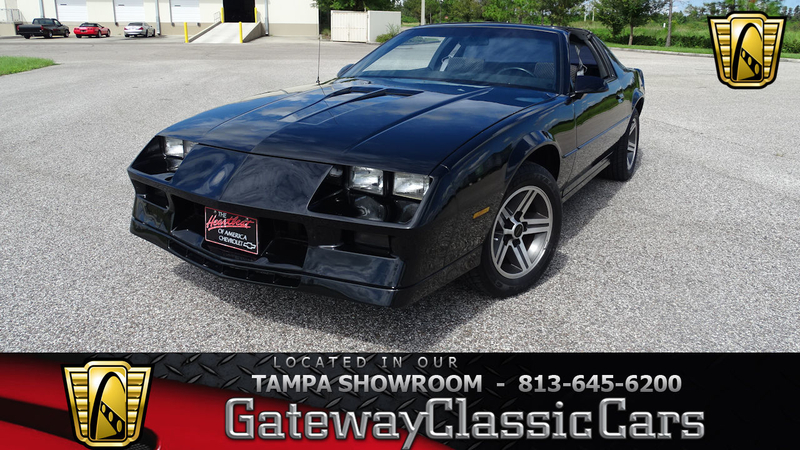 General description : Gateway Classic Cars of Tampa is proud to have listed for sale this sharp 1984 Chevrolet Camaro Z28 H.O. 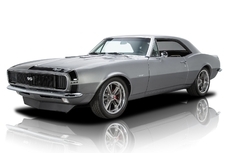 This black Camaro is super clean inside and out and is a blast from the past. This 3rd generation Z28 is sleek with its black paint that still shines like it did back in the 80’s, its T-Tops, and the clean cloth gray interior. This 5.0 Liter V8 Camaro is fun to drive with its 5 seed manual transmission. With only 69k actual documented miles, this car has plenty of life left in it. Being 34 years old and only having had 3 owners, you could say this car hasn’t been passed around from owner to owner often. This Camaro started its life in Florida and has never left in its almost 35 years on the road. Some things have been recently changed to keep this car in the condition. The Alternator, windshield, and T Top gaskets are all new. 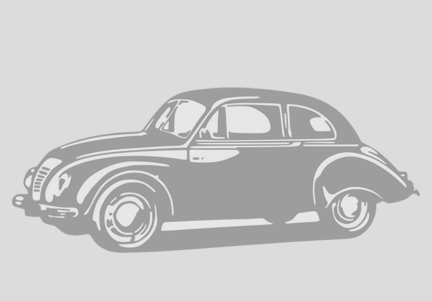 This car has many options that include: Air conditioning, AM/FM radio, Cd player, T-Tops, Power brakes and steering, power seat, seat belts, tilt wheel, cloth interior, and even alloy wheels. Overall this black beauty is in great condition and would make for a great show car or even a daily driver. Do not miss out on a 3rd Generation Z28 are clean as this one. This 1984 Chevrolet Camaro Z28 H.O is for sale in our Tampa Showroom and can be viewed in greater detail including 100+ HD pictures and an HD video at http://www.GatewayClassicCars.com. For additional information, please call our knowledgeable staff at (813)645-6200 or email us at Tampa@GatewayClassicCars.com. If you would like to see it in person, come to our Tampa Showroom, located at 351 30th Street NE, Ruskin, FL 33570. Hours: Monday through Saturday, 9 AM to 5 PM EST. 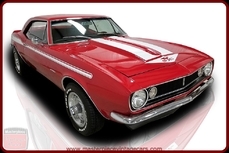 See more at: http://www.gatewayclassiccars.com/TPA/1292/1984-Chevrolet-Camaro-Z28-H.O. 1984 Chevrolet Camaro 5.0L V8 4BL OHV is listed for sale on ClassicDigest in Ruskin by Gateway Classic Cars - Tampa for $12995.